The lovely little China Man. Today we added yet another name to my long list of doctors attempting to aid in my recovery, only today, things were a little bit different. Today, for quite possibly the first time in history, my doctor made me smile. I’m going to be honest though, walking into a store that had shelves and shelves of countless jars, filled with things that I’m certain belonged in a horror movie, had me feeling less than impressed. Just in case that wasn’t strange enough though, as it turns out, this particular doctor didn’t take appointments as such. Apparently he preferred to take walk-in patients by writing their name on a piece of paper; something that in all of my countless medical visits, I had never seen before. I was beginning to question just what I had managed to get myself into. However, once the jolly little Chinese man smiled at me and said hello, all of those nerves seemed to disappear, as if almost like magic. Magic in the sense that despite the fact that we were now sitting in a tiny little room no bigger than our bathroom, in the middle of a Chinese grocery store with the door left wide open, somehow, I still had a smile on my face. It was then that I decided; regardless of whether or not this lovely man became another addition to the list of failed attempts or one of our very first success stories, he had made me chuckle and as far as my endless experiences with doctors go, that was more than enough. Our appointment soon began and after pulling out a paper and a pen, the lovely little Chinese man smiled. Then, for around the fifth time in what seemed to be less than two minutes, he said hello. Yet another hello, to which I of course smiled and again, politey said hello back. He then went on to ask me how I was, only it wasn’t in the usual manner that most doctors ask; for the first time in history, this man genuinely seemed to care. “What has happened to you, what wrong?” he asked. “I can’t promise things get better right away, but I promise to try my best fix you” he said, smiling yet again. Despite the slight language barrier, seeing the look in his eyes, I couldn’t help but have faith; something that I had lost somewhere along this never ending medical journey. I went on to tell him about my Chronic Fatigue, along with numerous other things I was hoping he could help me with and again, he smiled, asking if he could take my pulse. A few moments had passed with his hand resting on my right wrist, until eventually, he changed to my left wrist, asked me to poke out my tongue, checked my eyes and that was it, we were done. He told me a few things that I struggled to understand, before writing down three things on his piece of paper that I wasn’t able to translate with my simple grade seven level of Chinese knowledge. So considering I had absolutely no idea what was on this piece of paper in front of me or just what this lovely little Chinese man would be sending me home with, I suppose it was quite lucky that I trusted him. I was told to stay away from coffee, cold water, lettuce and bean sprouts, which given the circumstances, seemed rather strange to me. Coffee seemed to be fair enough and cold water even made a little bit of sense to me, but what could possibly be bad about lettuce and bean sprouts? I told him that coffee was not a part of my staple diet, nor had it ever been, so giving that a miss would not at all be a problem and although water is all that I ever drink, I much prefer it to be room temperature than cold. The lettuce and bean sprouts however, that had me slightly puzzled. With a curious look on my face, I found myself questioning his reasons and it was what happened next that made me chuckle the most. What followed however, had absolutely no link to the question I had asked, nor did it in anyway link back to lettuce or bean sprouts. He began to tell me about Yin and Yang and that they were like woman and man, like water and fire. He then proceeded to smile, as though his explanation was complete and asked me if I had understood. However, given that I was now even more confused than before, I tried my best to hold in my laughter and again, I asked him how lettuce and bean sprouts fitted into all of this. Only this time, he did. Although they are indeed a healthy part of any diet, it seems that too much lettuce and bean sprouts are not good for my Yin and Yang. Apparently, they have the ability to cool my liver at a faster rate than we would like, something that given my bodies lack of ability to keep a stable temperature, is not a good thing. Luckily, this time I understood. He then went on to tell me that he would be on holidays for a few weeks, but that he would love for me to come back and see him once he was back, as long as I was fine with the idea and surprisingly, for quite possibly the first time in my life, I was. So much so, that the thought of another visit to this jolly little man, already had me smiling. After sending me home with a limit on my lettuce and bean sprouts, a promise to only drink room temperature water and three bottles of tablets; one marked A, one marked B and one marked C, he quietly whispered that I needed to try and limit the stress in my life. Something that up until now, I wasn’t overly sure how too. Today though, I think I finally found the answer. 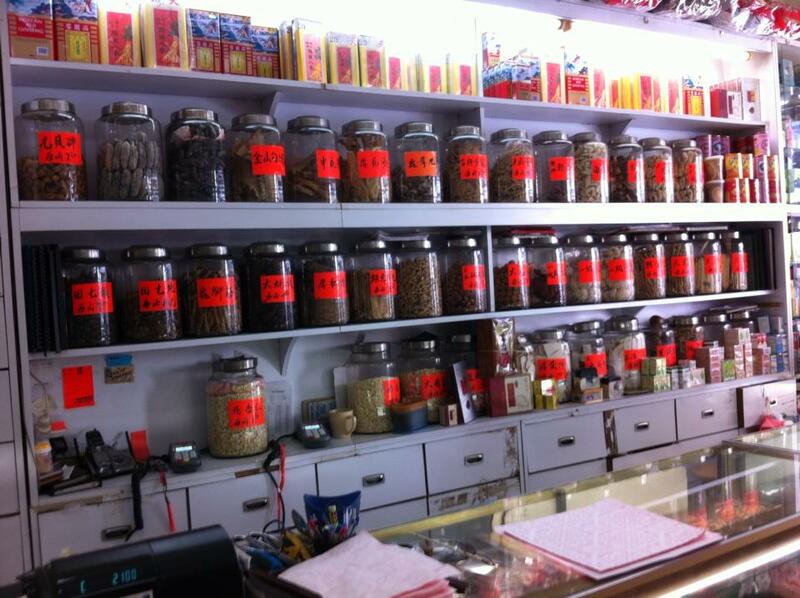 Perhaps all I had ever needed was a few less careless doctors and a few more Chinese Herbalists. Perhaps all I had ever needed was a doctor with a contagious smile and a genuine desire to help; someone who would explain to me the concept of the Yin and Yang, whilst making me chuckle uncontrollably. Perhaps after all of this time, it really was just that simple.